I feel sure that Amex are reading your articles on the remaining loopholes in their rules for new card signup bonuses with interest and that the team meeting on how to address these problems will be taking place in the course of the next few days………………. Just like the churning loophole that only lasted a few days, no weeks, no months, actually years? It might happen, but unlikely I feel. Amex are known to have left badly worded t&c’s in contracts for years which are to their detriment, even when openly mentioned on this site. AMEX middle/higher managers were always incentivised by “new card openings” in their bonus going back 20 years. (i mean who needs 4 AMEX cards?) I’m fascinated to know what the new targets are, as that might help us understand where the value for us will be in the short term. 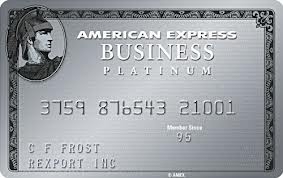 AMEX own branded personal cards are also exempt from the interchange cap… so there is margin for value there too. OT: Trying to use my BA 2 for 1 online. Seems straight forward. I want to two one way bookings in Business but from the same city. i.e. Lon-Dxb and Dxb- Lon for example. I just want to book the one-way online and book the return when I have more avios. Question is can I book the return one-way online too? Also, someone mentioned you get some taxes refunded once you book the return part if I understood correctly. How does that work? Sorry my first time doing this! If you call the helpline to get the return added they will adjust the fees (eventually, maybe months down the line!). You can book the return online and then ring to combine the flights into one with the voucher apparently, but the fees are not adjusted I believe. Managed to book, thanks! Both kids (10 and 13) were charged same taxes in Club World) Aren’t they less for children? Remember something about APD not being charged for kids. APD is charged in full in a ‘premium seat’ so the kids pay full APD. It’s only free or discounted in an economy seat for the kids I’m afraid. With business cards, is the amount personal or business? ie. Wife and I are directors. Can she get the biz Plat and then six months later refer me, and cancel. Then after six months I can refer her and then cancel. Rinse and repeat? Guess this is exactly what amex want to stop happening. But if you are. Big spender then it’s no loss to amex. However, you can’t hold other amex cards that would bar this activity. Not in the US, at least. They were still on the web page a few weeks ago bug seemed to be nothing about purchasing them so very likely dead. First post (be gentle): what about the impact on ICC. We travel frequently to the US/EU – I wonder if better to cancel the personal, and use the ICC for international costs? I assume that’s an option as Rob had said that holding the ICC cards does not impact the UK ones. As I have said several times before, it would be very easy for Amex/BA to enforce the ‘use the card which earned the companion (241) voucher to pay the taxes etc. rule’. If BA are not already holding the BAPP card numbers against the vouchers, it would be a morning’s work for Amex to extract a list of all the outstanding vouchers with BAEC number, date issued and BAPP number and pass it across. On the payment page for the redemption using the voucher, the BAPP number would be pre-loaded and made read-only so just the expiry date and CVV number entered by the card holder. This would be a minor change to the three payment pages – online, Android, Apple and maybe CS agent as fourth. I say this as a holder of a 241 voucher who has cancelled the BAPP card knowing the risk. A day’s work for Amex to run the report. We all hope so, but people need to be aware of the risk. Probably, I had them pricing up offpeak dates at peak rates earlier today. Hope they fix that quick. Mark2 – Guessing you don’t work in IT for a large corporation. I did for 30 years. What is wrong with my solution? They always tell you this. Have done for years. It is total nonsense. Challenge the agent, they should know the reality as opposed to what is on their script. No reader has ever lost a voucher. Thanks for your reply Rob, I did challenge the agent she went away to check T&Cs and came back with a quote of rule 15 and that voucher would definitely be cancelled. Do they actually cancel the voucher or inform BA to? Have have two sitting in my BA card right now which tells you that the reality is the voucher is fine after you cancel. You mean you want them to cancel the voucher? There is a difference between confidentially stating past Amex practise, and confidentially predicting future Amex policy! That should have been “confidently”, of course ! True, but the T&Cs have not changed. There is a version online dated 2009 which has this rule in it. It is not even clear if the FCA would consider it ‘fair and reasonable’. That’s quite helpful having it in from 2009, sounds like “custom and practice” would put consumers on a pretty firm footing then given they haven’t reversed any in the past decade! Ok thanks for confirming Rob. Could someone please confirm that I can get a personal gold if I hold personal plat? There won’t be a sign up bonus obviously. What I’m trying to judge is whether the plat is working for me long term and i think it might come down to continued availability of (self) referral. Gold can become a card I keep for a full year (spending 15k). Would probably be enough to cancel Plat and take out Gold the next day – I can definitely still go from my Gold charge card to Plat from one day to another. I have a Gold credit card and just got a Platinum card without a problem. Might be different if you still have the Gold charge card. Thanks both. I have plat but not gold currently. Looks like now the gold is a credit card it is possible to hold both. I’m thinking gold for spend, plat for referrals going forward. And the voucher is still showing? Is the supplementary bonus for adding an extra card on platinum always applied or do you have to wait for the offer to appear? A naked man has reportedly been arrested in Moscow after trying to board a plane while shouting about how clothes made him less agile and aerodynamic. Eyewitnesses said the would-be passenger passed through checks at Domodedovo Airport before suddenly taking off all his clothes and running on to the jet bridge, which connects airport terminals to planes. “He shouted that he was naked because clothing impairs the aerodynamics of the body. He flies with more agility when undressed,” a witness told Russian channel REN TV. Airport staff prevented the man from boarding his flight to Crimea and he was later detained by police officers. Fellow passengers told Ren TV the man did not appear drunk. On the contrary, I would have thought his projectile would likely increase drag! Sorry O/T – I have a lloyds upgrade voucher but I think my avios account has now been closed. Is it possible to see the voucher on my ba exec account or any other way of checking it’s expiry date? You can’t see it on your BAEC a/c. I can still see mine on my Avios.com account (which has stayed open due to Aer Club). Actually spent it today, agent transferred points from my BAEC account whilst on the call – then the bloody Lloyds Avios card blocked the taxes transaction so she kindly held whilst I went through Lloyds security to lift the block! Lloyds security are very twitchy today. They blocked my transaction for £5 because I had not used it recently. Yeah, I find they’re the twitchiest by far of any of my cards. Used to be good and just send a text you could reply to confirming the transaction though (and then reattempt), this time had to go through the whole rigmarole. When I bought a laptop recently they texted me a code, verified fine and order completed, only to get a text 10 min later asking me to confirm transaction and saying I wouldn’t be charged and would have to make it again! Thankfully ignored it and all went through fine. They also said I should have a new card – I pointed out they hadn’t sent them out yet! Are the fees pro-rata refundable if you cancel during the course of the 12 months – with the Gold and Platinum Business Amex cards? I’d imagine so, Rob said pro rata refunds are global practice for amex. No pro-rata fee refunds for AMEX USA. You have one month (statement cycle?) after renewal to decide to cancel card or not. After that AMEX USA does not refund the fee. Thanks, but am looking at Amex Business cards in UK – can’t find anything on-line one way or the other. One thing worth considering for some people is that the only Credit Card accepted at CostCo is AmEx. Otherwise you’ve got to use debit cards. Are you certain that’s the case? They are still pushing the Amex pretty hard in store. The cynic in me wonders who else is going to give them a better deal over here. The prospects of moving to a NewDay or Creation backed card are pretty grim, but I guess Amex are unlikely to prop up a card which loses at least 0.7% up to 2.7% either. Brilliant product while it lasts though.